Pittsburgh is the Number Two Most Livable City in America! 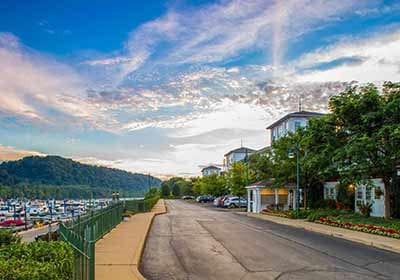 Come home to easy riverside living at The Docks along the Allegheny River in Pittsburgh, Pennsylvania. From your apartment you can walk to restaurants, parks, and shopping, or hop on Route 28 for a quick commute downtown. 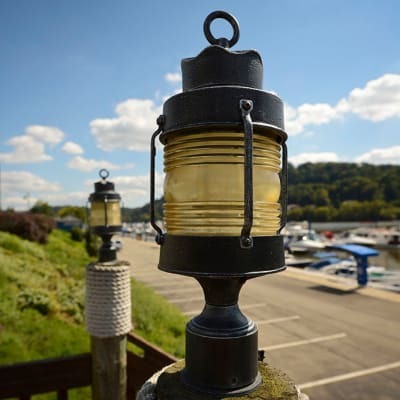 Our location at 501 Riverfront Drive puts us adjacent to the Fox Chapel Yacht Club, which contains the fun and festive Baja Bar & Grill. There you can dine outside, alongside the river, while enjoying excellent seafood, burgers, or drinks. Listen to a live band, watch sports on the big screens, or join in on Friday night dance parties. We are also located less than a half mile from Freeport Road where you can grab a muffin at Loafers Bread Company, lunch at Jimmy Wan's, drinks at Atria’s, or tacos at Patron Mexican Grill. A community supermarket along the same road makes stocking the fridge easy. If you’re looking for some unique eats, Walnut Grill and Nancetta's Ristorante are also a short drive from our community. Outdoor enthusiasts will love being a short distance from open green spaces and walking trails at the park. Feeling festive? Then add the Three Rivers Arts Festival, Three Rivers Regatta, and the Venture Outdoors Festival to your calendar now.